Our philosophy is simple: Since we are a neighborhood bakery, we get involved with the clubs, causes, events and people that make up our neighborhood. We do it because we know that the community supports us and we want to give something back. This is our commitment to the community. 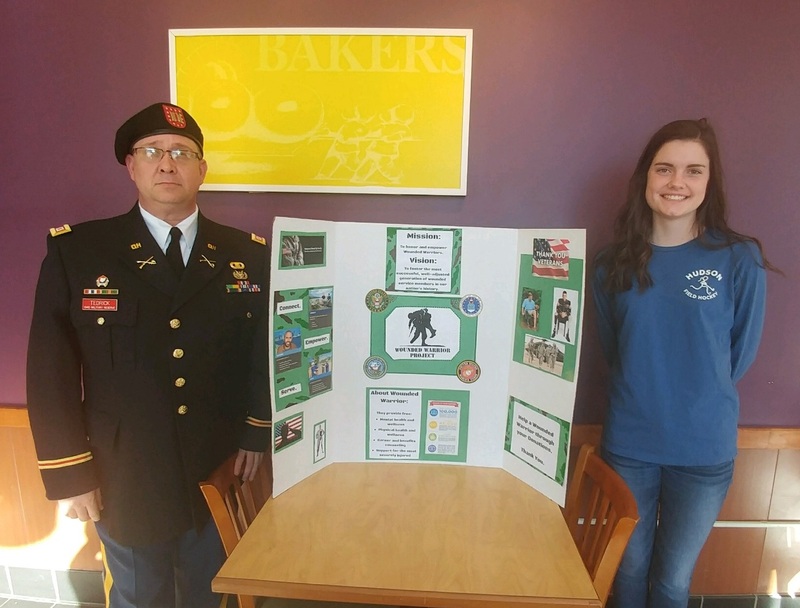 Hudson High School students partnered with our Hudson, OH Bruegger’s Bagels to raise funds for the Wounded Warrior Project, a non-profit that provides wounded veterans with essential services they need to deal with the stress and problems that come from being in a combat environment or being wounded in that environment. Click to learn more! One of the ways we give back is through donations to area organizations. Each year we donate time, effort and bagels (lots of bagels!) to the people that are trying to make a better neighborhood and a better world. Use our Donation Form to see whether Bruegger’s can help with your non-profit event. Please understand that we cannot fulfill every request as we receive thousands each year. When the volume of requests keeps us from granting every one, we try to give priority to organizations supporting children, veterans and disease prevention. If you would like to submit a request for a donation, please fill out our Online Donation Form. Bruegger’s makes it fun and easy for your non-profit organization to raise money to support your programs and activities. Call or visit your local bakery to speak with a manager and start your fundraising efforts. All fundraiser events must be setup at least 45 days in advance from the date the co-signed agreement is submitted. Your non-profit group can pre-purchase $10 Bruegger’s gift cards at a 10% discounted rate and then re-sell them at full price, keeping $1 per card to support your organization. The gift cards can be redeemed at any Bruegger’s bakery-café. There is a minimum order of 50 gift cards. Available in participating Bruegger’s bakeries only.